North West, Penelope Disick and Blue Ivy Carter are giving us serious Easter accessory inspiration! | HELLO! She's one of the trendiest celebrity youngsters and North West is giving us all kinds of Easter inspiration with her latest outfit. 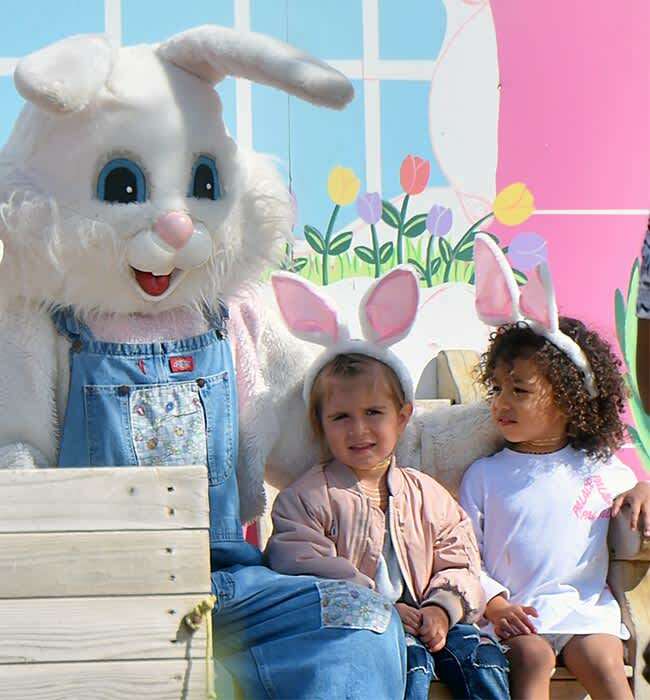 Kim Kardashian and Kanye West's little girl was snapped at an egg hunt this week, rocking an adorable pair of bunny ears. North, two, was joined by her BFF and cousin Penelope Disick as they hunted for the chocolatey treats with 35-year-old Kim. The two tots were even lucky enough to meet the Easter Bunny, and posed happily for pictures with him. Although Nori and three-year-old Penelope rocked the long white ears with ease, Kim was clearly off duty in black leggings, a camouflage print jacket and trainers. She covered up with a baseball cap and big sunglasses, but kept fans in the loop with regular Snapchat updates. Penelope's mother Kourtney, 36, previously opened up about the special bond her little girl has with North, admitting they're as close as sisters. Speaking to Harper's Bazaar, she revealed: "Last night North came over and they were fighting over shoes in Penelope's closet and they were so cute. "By the end they were sharing and trying the shoes on each other and having so much fun. It reminds me of how Kim and I were when we were little girls." 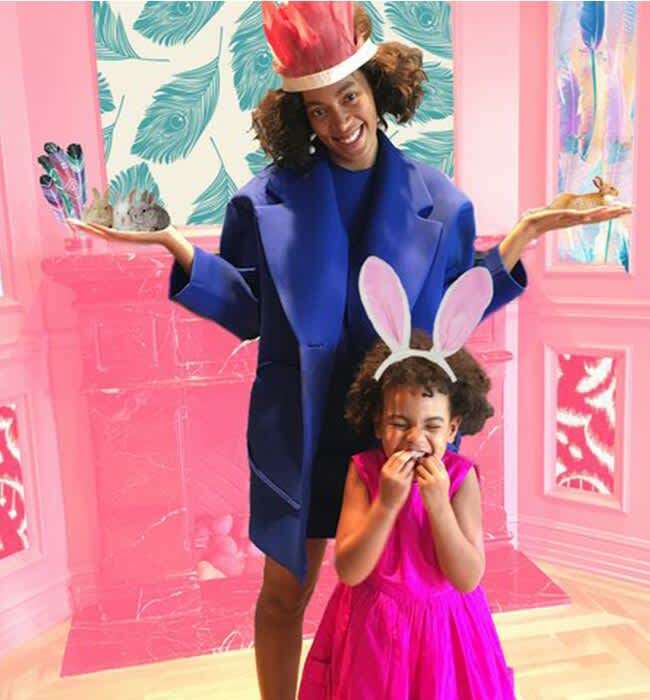 North and Penelope weren't the only mini-stars rocking bunny ears this week: Beyonce and Jay Z's little girl Blue Ivy also jumped on the trend. In a snap uploaded to her superstar mother's website, four-year-old Blue cuddled up to her aunt Solange, who also got involved in the festivities with a pink paper crown. Beyoncé shares first pics of twins since birth - and they look so grown up!